Hi, I am Sunny the owner of For Pet’s Sake and this is my pup, Olive Oyl. I am a lover of all animals and pets. I am loyal, dependable and trustworthy. I will give your pet the care, love and attention that they need while you are away! For more than seven years I have been caring for animals both large and small. We have a passion and love for animals. Your pet will be treated with the utmost care and attention when we are looking after them. 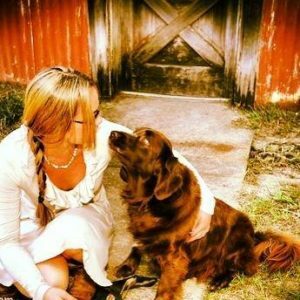 For Pet’s Sake is family-owned and operated right here in Tallahassee, FL. Other companies may offer similar services, but our services are the best and come with a personal touch.